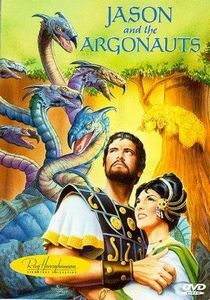 “Jason and the Argonauts” is about the young ruler Jason (Todd Armstrong) who has been prophesied to take the throne of Thessaly. On his way back from a 20 year voyage, Jason saves a man named Pelias (Douglas Wilmer) who he doesn’t recall being the one who murdered his father. Pelias tells Jason about the Golden Fleece, which is part of the prophecy foretold about him. Jason travels to Colchis and amasses the finest men in Greece to be at his side including Polydeuces (John Crawford) and Hercules (Nigel Green). During his travels he gains favor of the Queen of Gods, Hera (Honor Blackman) and she looks over Jason as he makes his way to Colchis. 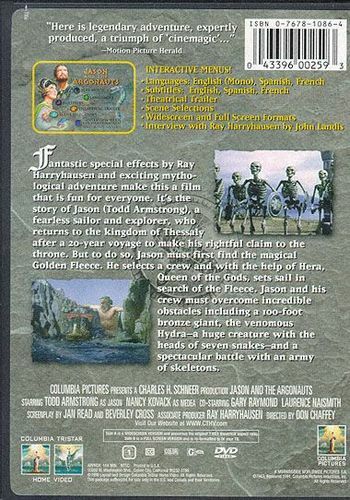 A hazardous voyage, Jason and his men have many fantastic forces to face from skeleton armies to huge bronze giants.